Finding the right home care agency is one of the most important decisions you can make for yourself or loved one. A perfect fit would be a company whose staff is honest, reliable, attentive and understands the true meaning of empathy during your time of need. After all, you’re going to be trusting them to help you during a difficult time, so you want a passionate service provider. You want them to make your life easier and take pride in their work. The good news is there are a lot of agencies in the Gilbert, AZ area that offer this kind of service. The challenge is that doing a web search and narrowing down a list can be overwhelming. At Total Care Connections we want you to feel comfortable from the beginning of your search through the selection process and beyond—so we’ve compiled a list of the 7 best home care agencies in Gilbert to make things easier for you. While these companies are not ranked in a particular order, we did aim to mention only the providers that have maintained a long-term presence in the community. If we have forgotten to mention a qualified and locally-owned agency here, please let us know. We are more than happy to add it! Total Care Connections– It’s only natural that we start with our own caregiver family! 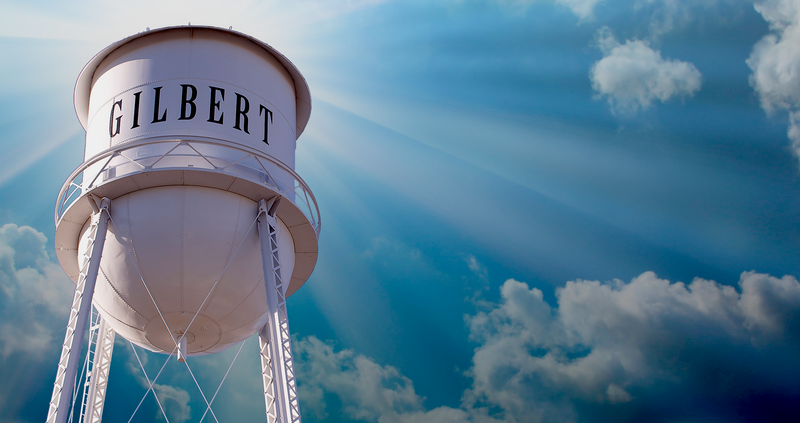 Total Care Connections has been in the Gilbert area for nearly a decade. Our focus on efficiency, flexibility, and maintaining patient dignity is one of the main reasons we’ve grown to one of the largest home care agencies in the region. We are dedicated to providing extraordinary service that allows patients and their families to feel good about their choice. Our aides are vetted, competent and sensitive. They’re passionate and caring. 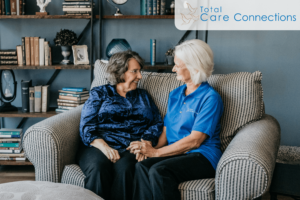 They’re there for you!At Total Care Connections we spend the time it takes to thoroughly understand the unique needs of each patient and pride ourselves on knowing exactly what to at the time it’s needed. Compassion is the key to our customer service because we pay attention to detail. We know that our job is to do what’s best for you and your family all while saving you time. We offer a free evaluation at your home or residence if desired, while tailoring our home care services to your needs including Memory Care, Alzheimer’s Care, and even Couples Care. All of our staff goes through a background and reference check prior to employment. In 2016, we were honored to receive the Wells Fargo Copper Cactus Award for Business Growth and to be featured on the INC 5000 list showcasing the fastest growing companies in the country. Want to talk with someone about home care services? Call us: 480-387-1927. Integri Home Care– An established agency in the Gilbert area, Integri Home Care has been providing high-quality care for many years. They are a non-medical home care and assisted living placement facility that understands the skillset needed to care for someone around the clock. Integri Home Care offers help for everyday life activities, such as bathing, dressing, feeding, shopping and much more. Their staff goes through an internal training program, background and reference checks. About You Home Care– About You Home Care provides balanced and professional in-home assistance for seniors with a proactive approach to staying physically and mentally fit. Founded by health care veteran Debbie McLay, About You Home Care services begins with a comprehensive assessment to create an ideal plan of care. About You Home Care service providers get to know their patients not only in terms of your necessities, but also as an individual with interests and hobbies. They work together to design and implement a customized program that incorporates daily tasks to ensure quality of life for patients. Beech Home Care– Beech Home Care is a part of a larger network that provides services to individuals, insurance companies and providers and hospitals. For individuals, Beach Home Care’s services include Caregivers, Case Managers and several other key people who work to ensure their patient’s activities for daily living are well taken care of. Beech’s Care Management services are flexible and can be purchased by the hour, through monthly retainer or bundled into one of their care packages. Tender Heart Home Care– A trusted agency for in-home care services, Tender Heart Home Care is a 24 hours a day, 7 days a week operation. They are a member of several distinguished care organizations such as the Home Care Association of America, Arizona In-Home Care Association and more. They’re aim is to provide happiness and peace of mind in an affordable way. Tender Heart Home Care provides services to seniors and people of all ages who want to continue an independent lifestyle in the convenience of their own home. Endeavor Home Care– Endeavor Home Care is a well-established and passionate agency that thrives on enriching the lives of their patients. Their caregivers are professionally trained to understand, respect and provide the best service to their clients. The providers at Endeavor average ten years’ caregiving experience and include Certified Nursing Assistants and Certified Home Health Aides. They are also a member of AZHNA and the Private Duty Homecare Association. Endeavor Home Care is a proud supporter of the Wounded Warrior Project. Hearts of Gold Home Care – Hearts of Gold is a smaller and more personalized agency than some of the others listed above. In business for nearly 15 years, they have earned a nickname in the community as the “Golden Girls” of care. They are a family owned business with a staff whose experience ranges from certified Nursing Assistants to Registered Nurses to home makers and medical students. Many of the team members at Hearts of Gold have been at the company since its inception, which is a testament to the work environment of the agency. The agency administrator, Danielle Miller, has been serving as the Office Manager since day one – with her mother, Mary Plotkin serving as the Director. Hearts of Gold knows what it means to treat people like family because they are. They take deep pride in caring for every patient as if though they were a member of their own family. In a sense, they are.